I sat down with V.J. Manzo, author of Max/MSP/Jitter for Music: A Practical Guide to Developing Interactive Music Systems for Education and More, and real-live Keytar player, to get the inside scoop on one of the coolest, retro electronic instruments on stage — the Keytar. When and why did you decide to start playing Keytar? I’ve been playing keytar for a little over 5 years now. I play in a group where it is necessary to use multiple keyboards at once. I wanted to play an instrument that allowed me to move around freely on the stage, instead of always being tethered to the keyboard on a stand that is stuck in one location. The keytar, in particular the vintage Roland AX-7, looked retro and quirky, so I decided to use it because it made the parts I perform on it a little bit more fun and noticeable for the audience. What exactly is a Keytar, and what makes it different from the keyboard? A keytar is a synthesizer instrument just like a keyboard synthesizer on a traditional stand, but it is tied to a strap and worn like a guitar. It’s played mostly for live or stage performances. It differs from a keyboard on a stand in that it has a smaller range of keys, and can be worn. Because of the way it’s held, it’s probably best used for one-handed solos, rather than 2-handed playing that is more common with the keyboard on a stand. Unlike a piano, the keytar sends computer messages using a protocol called MIDI, that say “I played this note, this hard.” Then the software receives the information from the instrument and synthesizes the note with different sounds. For this reason, a keyboard or keytar can sound like anything: a piano, a guitar, a bagpipe—anything, really! What was the first song you learned to play on Keytar? Do you remember your first Keytar performance? What was running through your head? What do you enjoy most about playing Keytar? I really enjoy being able to move around on stage, and having the ability to really interact and engage with the audience. That flexibility is something keyboard players don’t really get with the stand. It’s lot of fun too — and I usually get good responses from the audience. Are there any notable Keytar players that you like? Lots of players have used and currently use a keytar! Jordan Rudess from Dream Theater, Herbie Hancock, and Stevie Wonder all shred on Keytar! They were popular in the 80’s, but have recently become popular again with the introduction of new technologies into the new Roland models. It takes a certain amount of confidence for a keytarist to be ok with the stigma having “guitar-envy”! What is your favorite song to play on the Keytar? My favorite song to play on the keytar is “Tom Sawyer” by Rush. 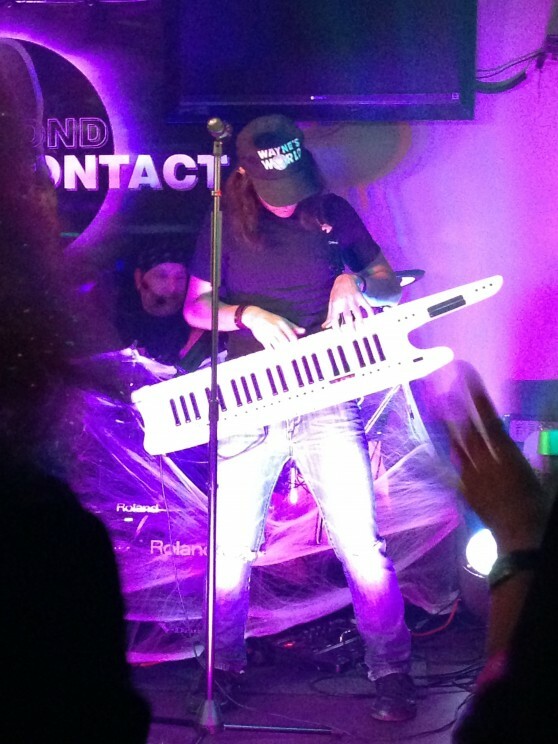 The keyboard lick in the middle is iconic, and with a keytar, the audience can actually see the notes I’m playing. The musical figure itself works out nicely to be played with one hand, which is ideal for the keytar! V.J. Manzo (PhD Temple University, M.M. 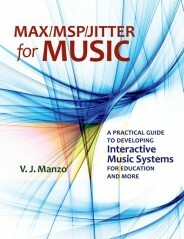 New York University) is author of Max/MSP/Jitter for Music: A Practical Guide to Developing Interactive Music Systems for Education and More and co-author of forthcoming Interactive Composition: Strategies Using Ableton Live and Max for Live. He is Assistant Professor of Music Technology and Perception at Worcester Polytechnic Institute (WPI), and a composer and guitarist with research interests in theory and composition, artificial intelligence, interactive music systems, and music cognition. Raquel Fernandes is a Marketing Assistant at Oxford University Press. It’s very insightful to read what V.J. Manzo, a professional guitarist and professor of music technology, says about the keytar and the advantages that it has. Being able to see the notes in the “Tom Sawyer” solo is awesome for audiences to experience, and with the keytar, it is possible to see the notes. I love discovering and interacting with other Keytar Killas (Keytar Players and enthusiast that keep it going) Awesome interview!